Our fathers, uncles and grandfathers [and mothers, aunts and grandmothers too!] often told us about the years-gone-by heroes of baseball… Babe Ruth, Lou Gehrig, Joe Dimaggio, Jackie Robinson, Mickey Mantle, among others. 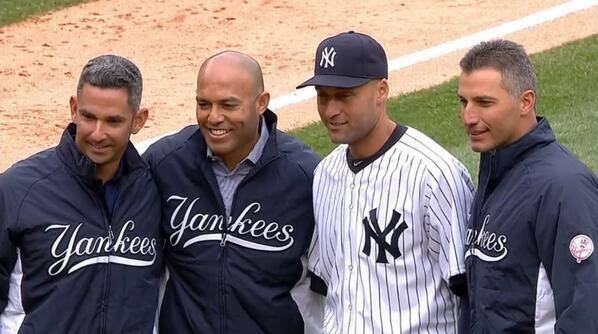 Derek Jeter will be the player we tell OUR grandchildren about, not because he is a Yankee and can play ball with the best of them, but because he has been a class act from day one. This first day of #2’s final season of professional play marks the beginning of the end of an era… one which we can be grateful we experienced in our time. ← In any voice and any language… Let it Flow!